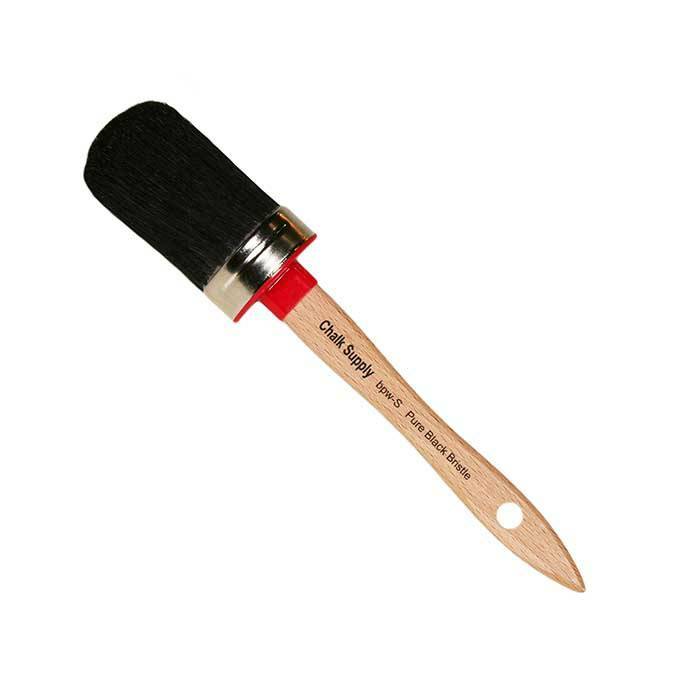 / Chalk Supply Black Bristle Paint Brush, 1-3/4"
Chalk Supply Black Bristle Paint Brush, 1-3/4"
Oval fresco brushes are the style preferred by most Chalk Painters and for good reason. The thick, oval shaped boar's hair bristles carry a large amount of paint while the varnished, contoured handle is comfortable even after long use. By nature, black china bristle is a stiffer, stronger and thicker. It's more coarse hair carries more paint It so can cover large areas with less effort. Black bristle is popular with professional painters because of its strength and long-lasting durability.